Simple really does come in all sorts of guises and one of them is food. Here is what we had for dinner on Friday night. It was the end of the working week, we were both exhausted and not keen on creating a huge meal so I pulled this together with what was in the refrigerator and pantry. It took about 5 minutes, presented well and was nutritious and filling. The tomatoes, figs and pumpkin were from the garden. The pumpkin had been roasted to use on pizza and I had some left over. 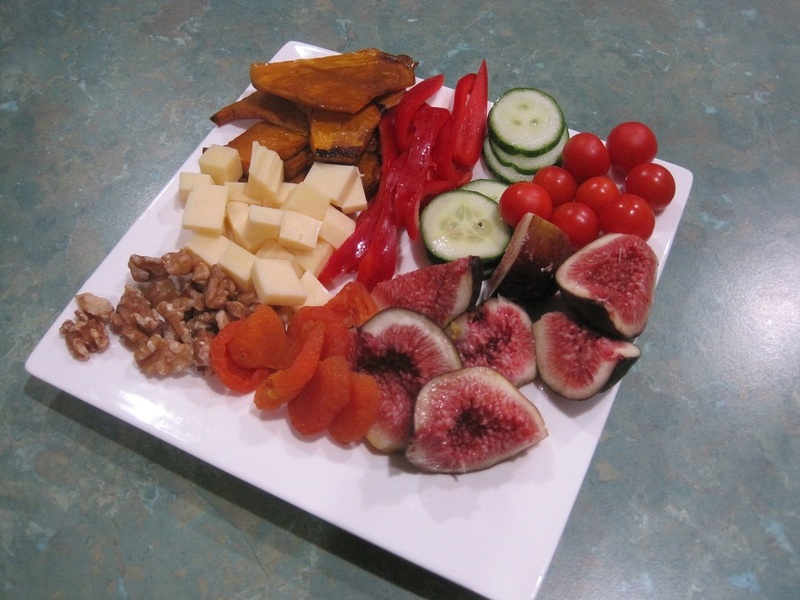 Cheese, capsicum and cucumber from the refrigerator and finished off with walnuts and dried apricots. Do you make any truly simple meals? This is just a quick post as I have been away for a couple of days with my job so no time for blogging. I am working on a new post about my wardrobe. It may be ready tomorrow night so look out for it coming soon. 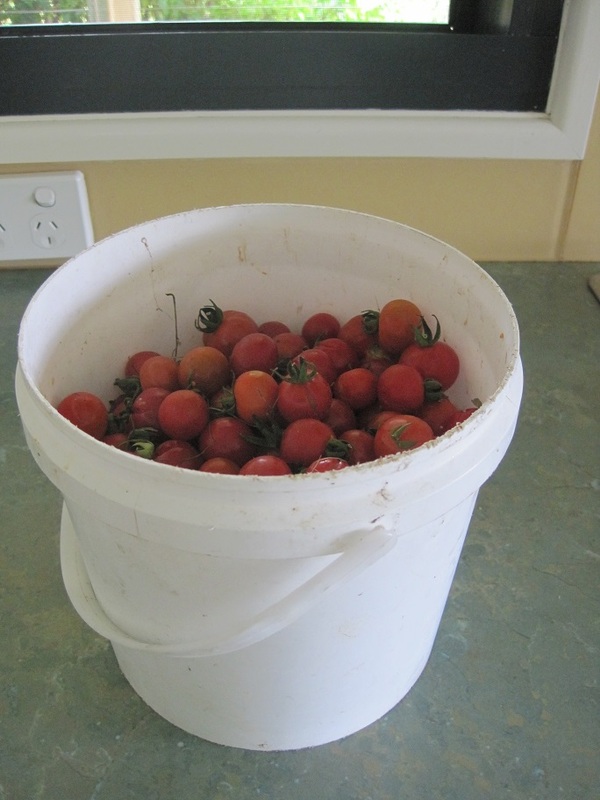 Yesterday I picked 2 kg of cherry tomatoes from the bushes that grow wild in various parts of our garden. Firstly, I removed the stalks and rinsed them and then added the 1.5 kg that were already prepared and frozen from a couple of weeks ago. 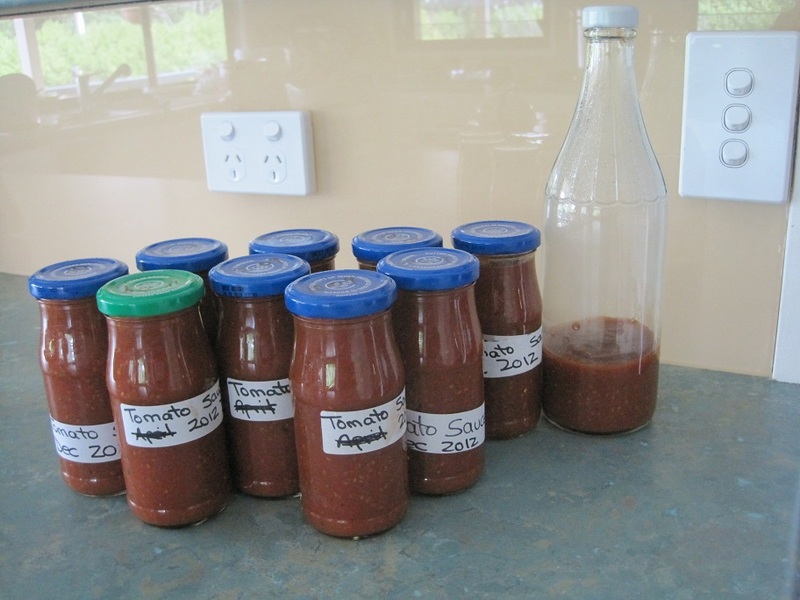 It was time to make some tomato sauce (ketchup). 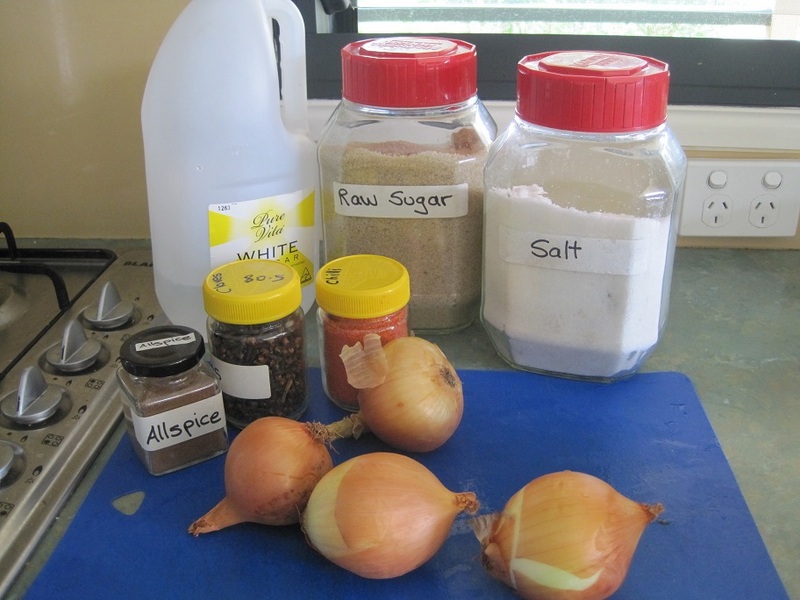 The recipe is super simple and is written near the end of this post. 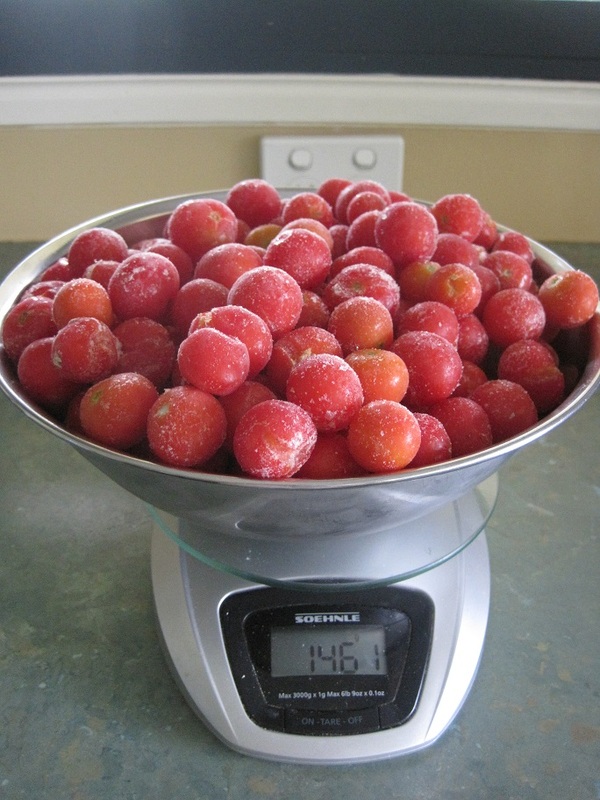 Home-grown cherry tomatoes have a very short shelf life so unless you are feeding an army, it makes sense to freeze the excess immediately or otherwise they go to waste rather quickly. 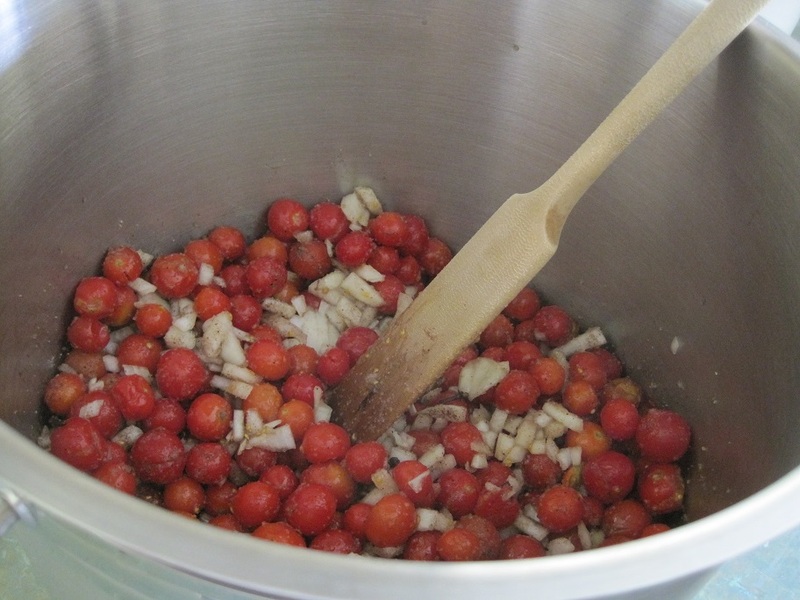 You will need a large saucepan or stockpot depending on the quantity of tomatoes that you are processing. Mine is a stainless steel one with a heavy base which helps to stop the food burning. This is important because by their very nature, most jams, pickles and preserves have a high proportion of sugar. 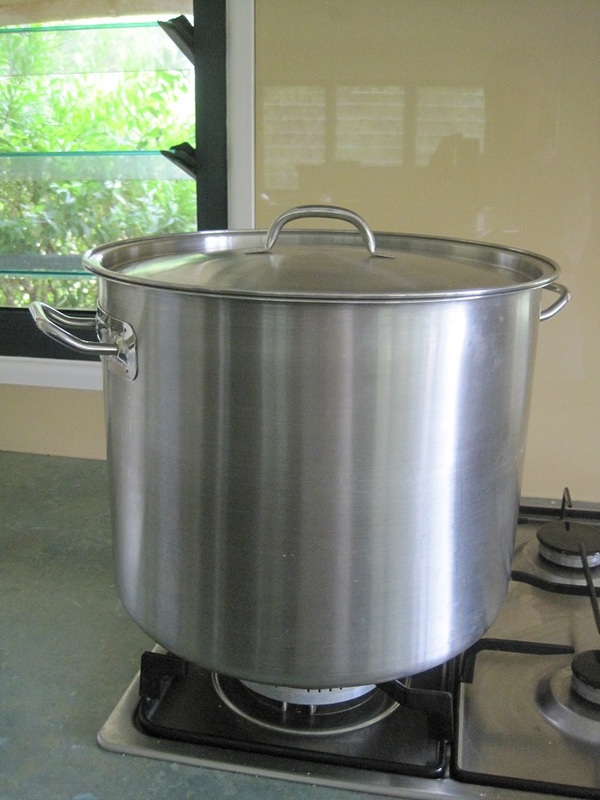 Many of the old-style preserving pans are aluminium, however, I do not use aluminium for perceived health reasons. Apart from the tomatoes, you will need a few other ingredients. Place the cloves and allspice in a muslin bag. Roughly chop the onions and tomatoes. Place all ingredients in the stockpot and simmer for approximately 2 hours, stirring regularly. 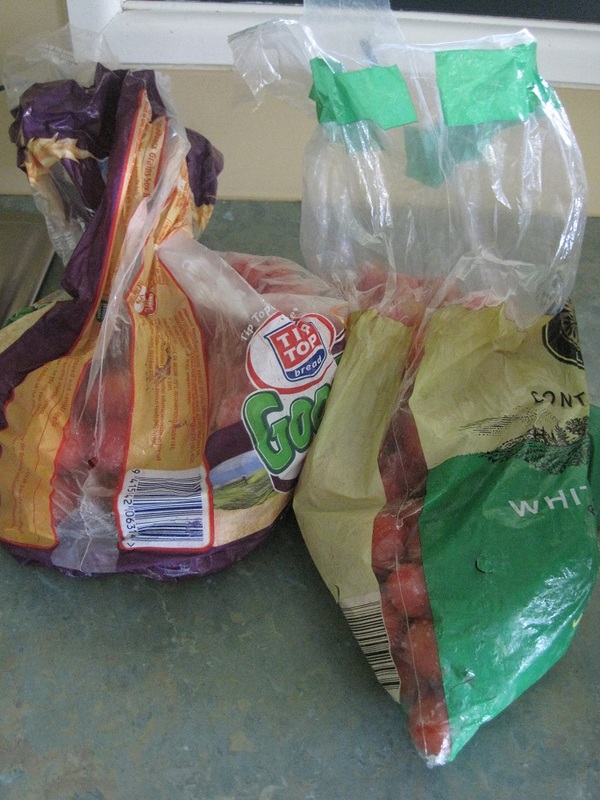 Remove spice bag and discard. Strain or process mixture in a blender to required consistency. Return mixture to a clean saucepan and bring to the boil for 5 minutes before pouring into warm, sterilised jars. Seal jars and store appropriately. When using cherry tomatoes for this recipe there is no need to chop them. I used chilli powder instead of cayenne, powdered instead of whole allspice and I always use raw sugar. The powdered spices and raw sugar tend to make the finished product slightly darker. I use a hand-held stick blender to process the mixture. Whatever method you use, be very careful when handling the hot liquid as it can be unpredictable. The original recipe can be found here. It is also in Sally Wise’s book, ‘A Year in A Bottle’. This is a tasty tomato sauce which bears no resemblance to the commercial varieties. Enjoy!